October's meeting will feature three great area speakers. First up will be Upshur County Precinct 3 Commissioner Frank Berka. Commissioner Berka will provide an update on Upshur's financial condition, as well as other items. There will be a brief question and answer period following. 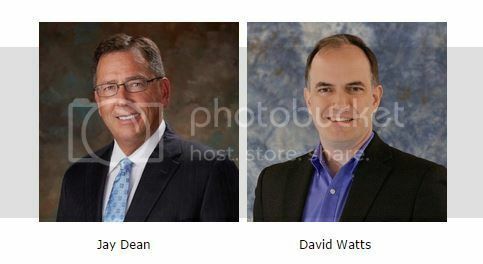 The main speakers of the evening will be candidates for Texas House District 7; Jay Dean and David Watts. Dean resides in Spring Hill, Gregg County. Watts resides in Gilmer, Upshur County. House District 7's seat, currently held by David Simpson, covers both Gregg and Upshur. Mid-June, Simpson announced his intention to seek Texas Senate District 1 seat, currently held by Senator Kevin Eltife. Eltife is not seeking re-election. There will be a brief question and answer period following. "Conservatism is at stake. This race is significantly the most important in our area," said ET4L's Jeremiah Hunter. Hunter will be emceeing October's meeting. As with previous ET4L monthly meetings, the last 30 minutes will be dedicated to both candidates and incumbents running for elected office. No prior scheduling is required. Monday, November 9, 2015 will be a Forum on the Upshur County Sheriff's race. Also, Senator Ted Cruz's East Texas Regional Director, Daniel Alders and Texans for Abbott, Steffen Carrillo will provide an update and answer questions. ET4L's Mary Anne Farrow will emcee the evening.